Funnybooks: The Improbable Glories of the Best American Comic Books – review by Fred Patten. Funnybooks: The Improbable Glories of the Best American Comic Books, by Michael Barrier. Illustrated. Oakland, CA, University of California Press, November 2014, hardcover $60.00 (xxi + 407 pages), trade paperback $34.95, Kindle $19.49. “Way back when the idea of a ‘comics scholar’ sounded like the punch line to a bad joke, Michael Barrier was a serious historian, a discriminating aesthetician, a trustworthy guide, and a impassioned lover of… funnybooks,” says Art Spiegelman in his endorsement. With this book, Barrier has started filling in one of the last important gaps in comic-book scholarship. 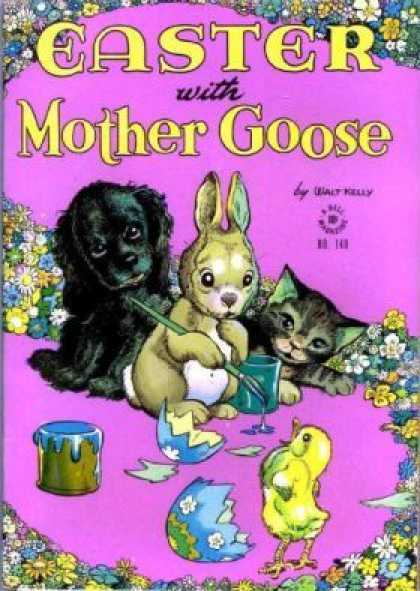 There have been recent de luxe collections of the classic works of the best funny-animal artist-writers, and studies of their individual works. There have been serious histories of the superhero comics, the romance comics, the Westerns, the horror and crime comics, and others, and of their creators like Jack Kirby and Steve Ditko. 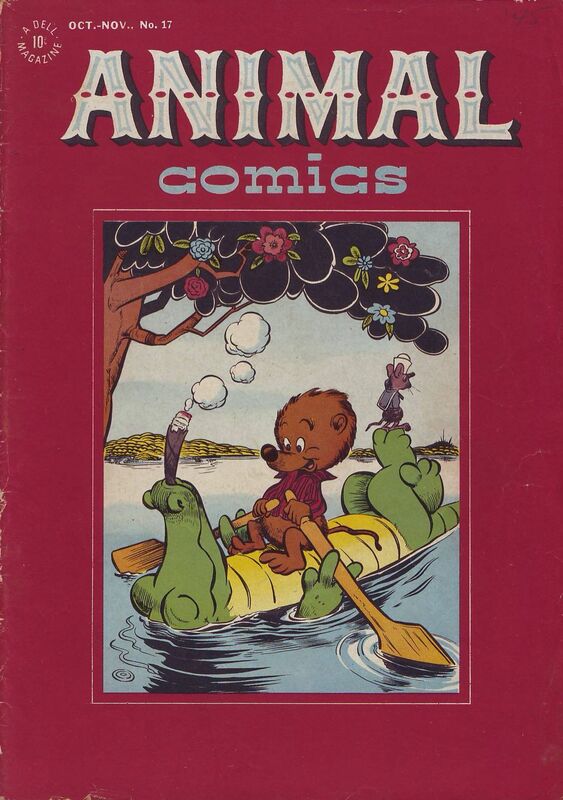 But there have not been any serious studies of the children’s fantasy/funny-animal comics as a genre. Funnybooks is the first of these. There is much still to be done. Barrier recognizes this in his Preface. “My initial plan was to cast my net wider, but eventually Funnybooks became a history of the Dell comic books, concentrating on the years before comics of all kinds fell under the censor’s axe and with only a nod to great cartoonists like Harvey Kurtzman and Will Eisner whose work was for other publishers.” (p. xiv) My own favorite hero of funnybooks in my childhood, I learned later, was Sheldon Mayer (1917-1991), the writer-artist of Dizzy Dog, Doodles Duck, McSnertle the Turtle, Ferenc the Fencing Ferret, the Three Mousketeers, and his most acclaimed series even if it did feature human babies, Sugar and Spike. My earliest comic-book character who I wanted to grow up to be just like, when I was about five years old, was Mayer’s Amster the Hamster. He could fast-talk his way out of any situation; a talent that at five years old, surrounded by bossy adults, seemed very desirable to me. But Mayer spent his lifelong career writing and drawing for DC Comics, one of Dell’s main rivals; so he is not mentioned here. I could name other favorite funny-animal characters and their writer-artists, such as Superkatt by Dan Gordon, who was earlier a great writer-animator at the Fleischer Brothers studio and later was one of the first great writer-animators for Hanna-Barbera; or the alley cat Robespierre by Ken Hultgren, an ex-Disney animator. (Gordon and Hultgren are briefly mention in a chapter on Dell’s rivals.) But the point is that there is still much to do. 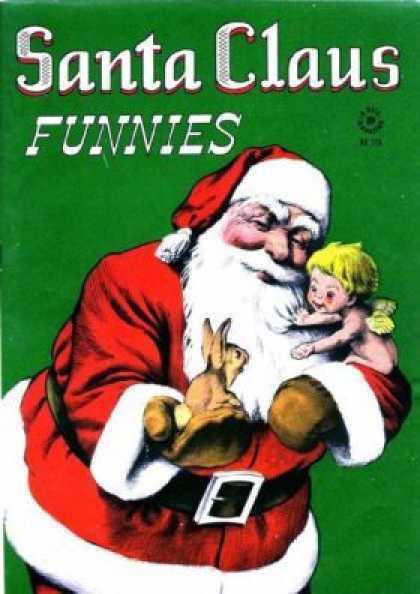 Funnybooks is an exhaustively thorough history of the complex known overall as “Dell comics”. Barrier first describes the murky start of the comic book industry, including which of the claimants to be the creator of comic books deserve the title, in the early 1930s. He next gives the history of the components of “Dell comics” from their creations: the Dell Publishing magazines of George Delacorte Jr. (whom he traces back to his father, George Tonkonogy, a Russian Jew who immigrated to America in 1892); the Western Printing & Lithographing Company, founded in 1910 in Racine, Wisconsin, and its Whitman subsidiary for children’s publications; K.K. Publications, Inc. (for Kay Kamen), founded to produce a licensed Walt Disney children’s magazine; and so on. 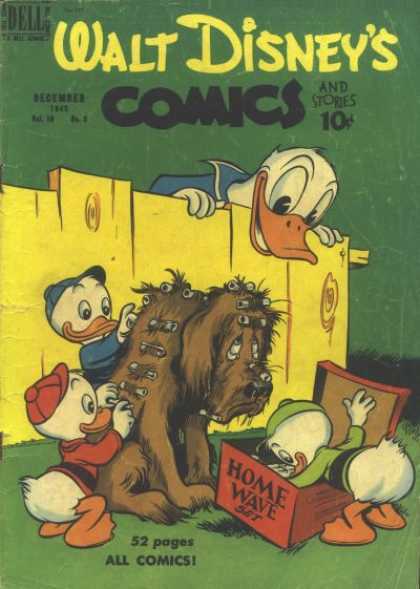 Through the 1930s into 1940, they merged into Western Printing in Poughkeepsie, New York agreeing to produce and package comic books for Delacorte to sell as Dell Comics. Western Printing got licenses to produce so many comics starring the funny animal stars of the Hollywood animation studios that it opened an office in Los Angeles to be closer to the animation artists and writers producing those theatrical cartoons. Western Printing’s Whitman subsidiary hired an artistic German immigrant, Oskar Lebeck, in 1938 to produce the actual comic books. As they grew in popularity and expanded during the 1940s and early 1950s, Lebeck and his successors had the good sense to hire good artists and writers and to give them artistic freedom. 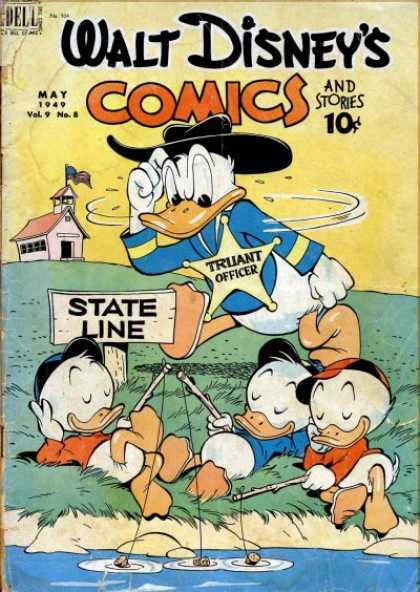 This ended in the late 1950s and the 1960s, due to the economic shrinking of all comic books and increased editorial restrictions on the creators – for example, Carl Barks, the Donald Duck and Uncle Scrooge writer-artist who had enjoyed almost complete freedom in the 1940s, was required in 1955 to change the name of ancient Greek mythological harpies to “larkies” for editorial fear that some readers might be offended by “harpies” being a modern allusion to prostitutes. Barks also wrote to a fan in 1960, “My early stories were in many instances based on an intense and violent rivalry between Don and the kids. Can I do that now? Ha!” (p. 321) Barrier quotes the aging creators’ displeasure with the increased restrictions as a reason for their retirement. The partnership of Dell Publishing and Western Printing ended in 1962, with Western Printing creating the new Gold Key label for its comic books and Dell continuing with all-new titles. Dell independently continued to 1973. Western Printing slowly declined from Gold Key through Whitman until 1984, when Western Printing was sold to a new owner who discontinued the publication of comic books altogether. 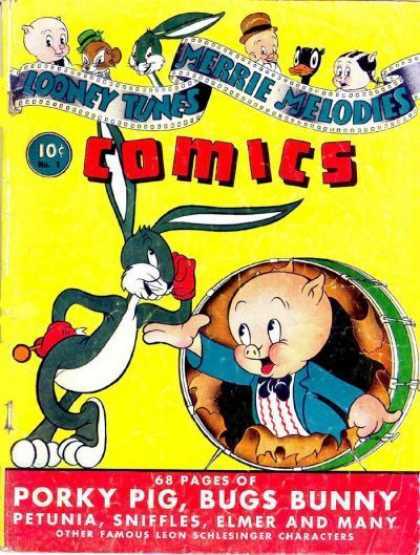 The advertising for Funnybooks emphasizes three creators and their work; Walt Kelly and Pogo, Carl Barks and Donald Duck/Uncle Scrooge, and John Stanley who wrote Western’s Little Lulu comic book. 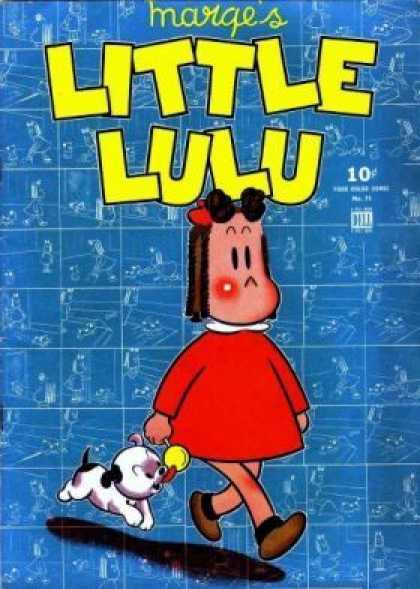 But Funnybooks is primarily the history of the “Dell comics”, not just of those three creators. Their relationship with Western Printing is discussed thoroughly, but others are mentioned to a lesser extent: creators like Roger Armstrong, Dan Noonan, Raymond Everett Kinstler, Jesse Marsh, and Alex Toth, writers like Gaylord DuBois, and editors like Chase Craig and Del Connell. Funnybooks contains samples of the creators’ and Western Printing’s work among its illustrations; plus photographs of the creators. The book’s cover design is by Claudia Smelser, using Pogo art by Walt Kelly. 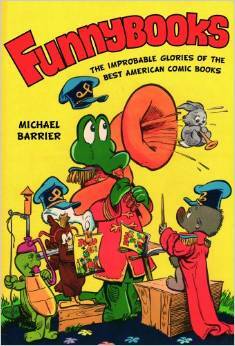 If you have ever been curious about the story of the comic-book publisher whose works did more than any others’ to inspire furry fandom, you should definitely read Funnybooks: The Improbable Glories of the Best American Comic Books, by Michael Barrier. Includes notes; index. By Moe Gollub, on page 213. Sugar and Spike was one of my favorite comics. Glad to see you gave it a mention.